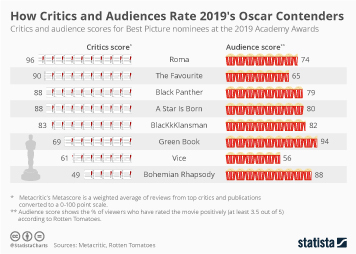 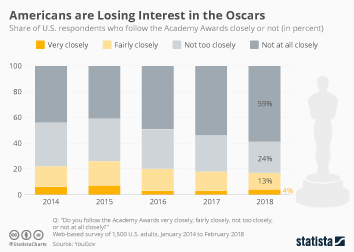 The 2018 Academy Awards ceremony saw its TV audience shrink to an all-time low. 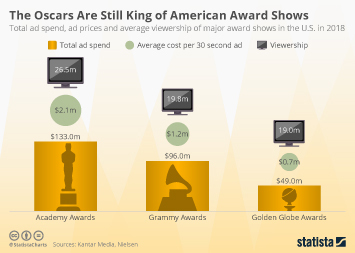 According to Nielsen, the live show broadcast by ABC had an average of 26.5 million viewers, a 20 percent decline on last year when 32.9 million tuned in. 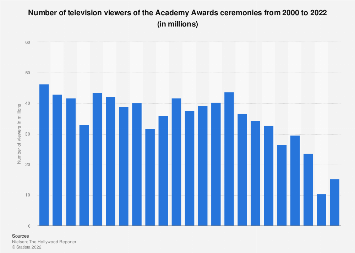 The previous record low was in 2008 when 31.8 million viewers watched the ceremony hosted by Jon Stewart. 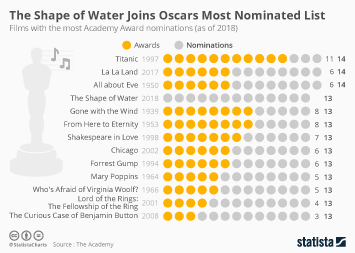 That year, disaster was narrowly averted after an 11-week writers' strike in Hollywood ended in advance of The Oscars. 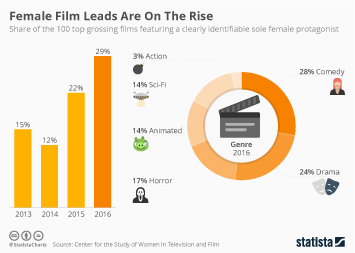 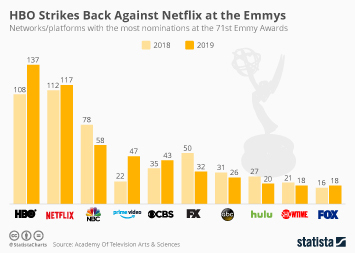 There are several likely reasons for this year's less than impressive viewership figures. 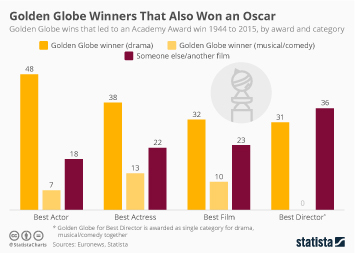 Last year's disaster when La La Land was mistakenly announced as Best Picture winner probably played a role, along with more recent accusations of serious sexual misconduct in Hollywood. 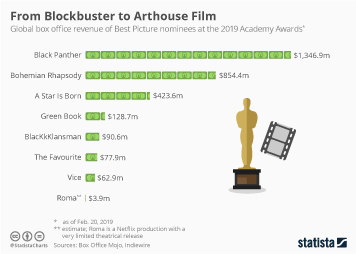 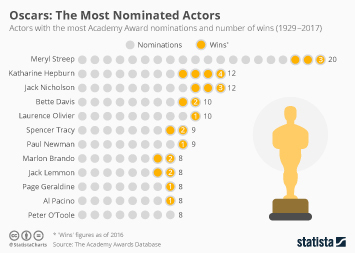 It is also important to mention the lack of box office hits on the podium. 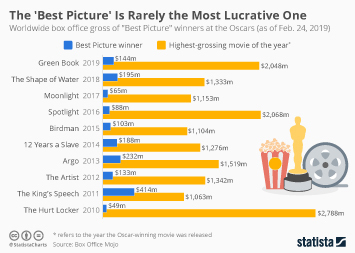 Best Picture winner "The Shape of Water" earned about $126 at the global box office but that is far short of the year's highest grossing movie which raked in $1.3 billion. 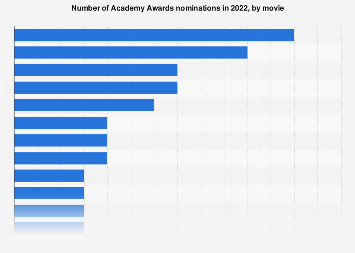 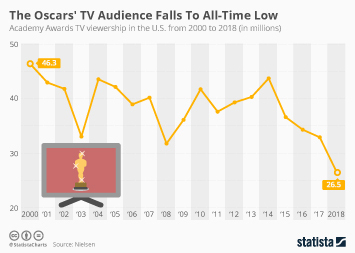 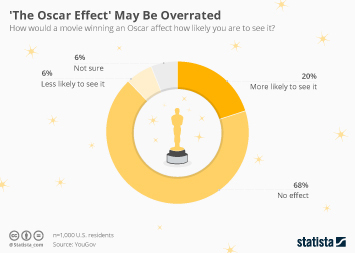 This chart shows Academy Awards TV viewership in the U.S. from 2000 to 2018 (in millions).